Which washer-dryer brand to buy in 2019 - Which? Unique Which? reliability and customer satisfaction data can help you to choose a washer-dryer brand that lasts. We survey owners of AEG, Bosch, Hotpoint, Indesit, Miele and Zanussi washer-dryers to find out which develop the fewest faults over time and which brands customers are happiest with and would recommend. Which washer-dryer brand stays fault free for longest? 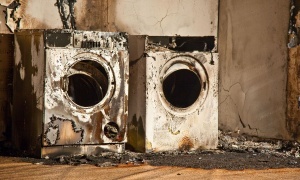 Choose the wrong washer-dryer and it could be costly. More than a quarter of washer-dryer faults owners reported to us were classed as catastrophic, which meant their washer-dryer ended up unusable. Failing to dry properly is the most common washer-dryer fault. Knowing which brands develop the most faults and how quickly is vital when you're buying a new washer-dryer. That’s why each year we survey more than 700 Which? members in our unique reliability and customer satisfaction survey to find out whether they're happy, or have experienced problems with their washer-dryers. Our survey data takes into account the reported fault rates, severity of these faults and the speed with which they occurred. In our latest analysis we've looked at the performance of the biggest washer-dryer manufacturers – including AEG, Bosch, Hotpoint, Indesit, Miele and Zanussi – and have calculated a reliability rating and customer score for each so you know which brands to choose – and which to avoid. We found a lot of variation between washer-dryer brands, as shown in the graph above. 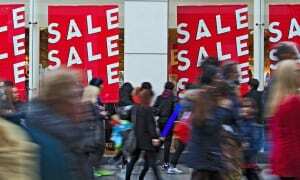 The biggest difference was seen for customer satisfaction where the best brand scored 85% and the worst just 56%. The table below summarises this year’s reliability results. Brands are ranked by their customer score, which relates to whether their customers would recommend it. The above data is based on a survey of 740 Which? members in September-October 2018. 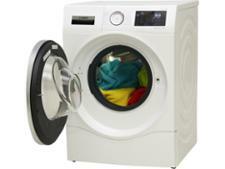 Failing to dry properly is the most common fault experienced by washer-dryer owners. A blocked filter, noisy machine and electrical failure were also common issues. Owners believe their washer-dryer should remain fault free for at least nine years. But we found that after just six years, a third of those buying a washer-dryer from the worst-rated manufacturer for reliability reported a fault. Paying more for a washer-dryer won’t guarantee yours remains fault free. Of the washer-dryer brands that owners told us about, the brand where they'd paid out the least on average on average scored an impressive four out of five for reliability. The graph above shows how the washer-dryer brand that stays fault-free for longest compares with the worst brand and the overall average. Which? members can see how brands compare for faults over an eight-year period in the table below. If you're not yet a member, join Which? to get instant access. Results based on feedback from 740 washer-dryer owners, surveyed in September-October 2018. The table data takes into account minor, major and catastrophic faults (see below). Minor A fault that doesn't affect the product's performance significantly or a fault that only occurs occasionally with minimal impact. The issue may be irritating or annoying but it isn't frequently problematic and you can easily work around it. For example, a machine that is unusually noisy. 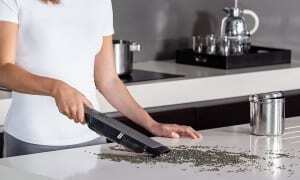 Major A fault that has a noticeable effect on the product’s performance. This fault affects how you use the product and can be problematic. For example, a faulty sensor. Catastrophic A fault that renders the product unusable, with the fault needing to be repaired or parts replaced before it can be used again. For example, an electrical failure. Table notes Average test score based on results of tested models that are still available. The customer score and brand reliability rating are based on a Which? member survey conducted in September-October 2018 of 175 AEG washer-dryer owners. The customer score is based on whether members would recommend the brand to a friend, and reliability is based on members’ experience of that brand. Table last updated 4 December 2018. Table notes Average test score based on results of tested models that are still available. The customer score and brand reliability rating are based on a Which? member survey conducted in September-October 2018 of 108 Bosch washer-dryer owners. The customer score is based on whether members would recommend the brand to a friend, and reliability is based on members’ experience of that brand. Table last updated 4 December 2018. Table notes Average test score based on results of tested models that are still available. The customer score and brand reliability rating are based on a Which? member survey conducted in September-October 2018 of 61 Hotpoint washer-dryer owners. The customer score is based on whether members would recommend the brand to a friend, and reliability is based on members’ experience of that brand. Table last updated 4 December 2018. Table notes Average test score based on results of tested models that are still available. The customer score and brand reliability rating are based on a Which? member survey conducted in September-October 2018 of 52 Indesit washer-dryer owners. The customer score is based on whether members would recommend the brand to a friend, and reliability is based on members’ experience of that brand. Table last updated 4 December 2018. Table notes Average test score based on results of tested models that are still available. The customer score and brand reliability rating are based on a Which? member survey conducted in September-October 2018 of 77 John Lewis washer-dryer owners. The customer score is based on whether members would recommend the brand to a friend, and reliability is based on members’ experience of that brand. Table last updated 4 December 2018. Table notes Average test score based on results of tested models that are still available. The customer score and brand reliability rating are based on a Which? member survey conducted in September-October 2018 of 45 Miele washer-dryer owners. The customer score is based on whether members would recommend the brand to a friend, and reliability is based on members’ experience of that brand. Table last updated 4 December 2018. Table notes Average test score based on results of tested models that are still available. The customer score and brand reliability rating are based on a Which? member survey conducted in September-October 2018 of 64 Zanussi washer-dryer owners. The customer score is based on whether members would recommend the brand to a friend, and reliability is based on members’ experience of that brand. Table last updated 4 December 2018. Which? 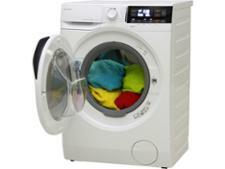 has a wealth of information on Britain's favourite washer-dryer brands. Every year we ask Which? members to tell us about the washer-dryer products they own - from how likely they would be to recommend a brand, to how reliable the products are once they get them home. This year 740 Which? 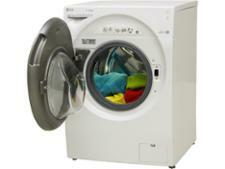 members told us about their washer-dryers. We calculate a brand's reliability and its customer score based on the results of our annual survey. Our reliability surveys, combined with our extensive lab tests, mean we can recommend the best washer-dryers you should buy. This data is crucial for our testing, too. If a brand falls far below the category average, we take away the manufacturer’s Best Buy status and won’t recommend any of their products unless a marked improvement in reliability is shown.